We have a full service Real Estate Company (since 2004) serving Austin and the surrounding Hill Country...north to Georgetown and Taylor and south to Driftwood and Wimberley, south west to Dripping Springs. We help clients buy and sell homes, condos, luxury estates, townhomes, and ranches as well as land and lots. We work with custom and volume builders for clients who wish to purchase a new home whether it is a builder who is building many homes in a community or serve clients who wish to custom design and build their unique homes. We love working with relocation clients and personally understand helping the entire family to assimilate to their new city and lifestyle. We're an Austin-based company advancing home improvement and real estate development in the Central Texas area. 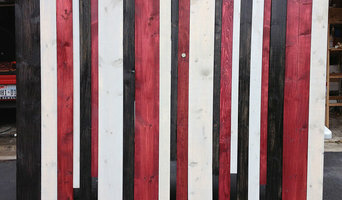 We were born in the Texas Hill Country on the founding principles of simplicity and design. Whether you're looking to take your taste buds on a new flavor adventure, discover ways to remodel your current home or find your new home, Home Style Austin embodies the spirit of Central Texas living. Enjoy the spirit of hill country living through adventures of food, design and landscape. At Home Style Austin, we bring you ideas for how to live the great life. Great design is my passion. 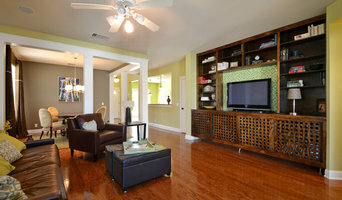 I will work to find you a home with great aesthetics as we know all of the special pockets of Austin. Let us negotiate the best deal for you and enjoy your best life in Austin. Photography-Centered Real Estate Brokerage. "Beautiful Photos Selling Beautiful Homes" TM. We specialize in selling homes with views and attractive back yards as focal points seen from the great room. Since 1997, over 97% of our business is serving repeat and referral clients. 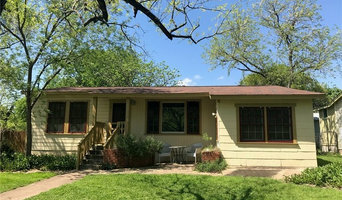 Hughes & Company Real Estate is a full-service residential real estate firm providing personalized and dedicated service to buyers, sellers, and investors in Austin and the surrounding area. Let us help you with your real estate needs! Gottesman Residential Real Estate is a company that focuses on delivering professional, unmatched services to all clients. From first time, single-family home buyers, to downtown condominium developments to estate properties, we have the knowledge and expertise to help every type of buyer and seller. We have a sophisticated portfolio of services designed to assist clients in every phase of the home buying and selling process. A good REALTOR doesn't disappear after you buy or sell your home. I value my longterm relationships. I've lived in Austin for 23 years; as an experienced Texas Realtor I can assist you in finding the perfect place to call home. I know the neighborhoods, school districts, shopping and commute times. From matching my client's needs, to negotiating the best price, and finding the right financing solutions, I am there through the whole process. Julie Mack is passionate about helping her clients achieve their real estate goals. She knows how to help sellers realize their maximum net profit and is adept at aiding buyers in identifying homes that suit their lifestyle and investment ambitions. Julie has an Economics degree from San Diego State University and extensive business consulting experience with one of the world's largest consulting firms. It is Julie's passion for design, architecture, and real estate that motivated and inspired her to pursue a career in Real Estate. She currently owns a very successful and growing staging business, Staging Sisters, which is an added benefit when marketing homes for sellers. Her credentials include Certified Negotiation Specialist, Certified Luxury Home Marketing Specialist, member of the Million Dollar Guild, and member of the Institute of Luxury Home Marketing. 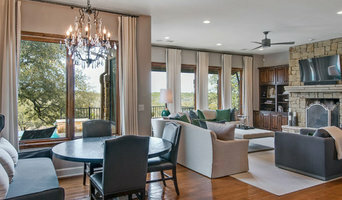 Specialized areas of focus include high end properties in the Barton Creek, Westlake, Lakeway and Central Texas areas. Regardless of the price of the home, Julie has a solid customer -oriented background that has won her the trust, respect and loyalty of buyers, sellers, and her peers. Diane Dopson Properties was established in 2001 as a boutique real estate company selling luxury real estate throughout the Austin area. Our professional Austin realtors provide personalized service for customers and clients interested in all types of real estate investments including homes, land, and commercial properties. Our mission is simple - to make your buying or selling experience a great one, and make or save you the most money possible. We promise to... - Be honest with you. - Be your advocate - always. - Not sell you something that you may not want, or need. - Continue our professional education to keep current on all laws & standards of practice. - Maintain legal and current contracts & forms to better protect you. - Employ a compliance team to further ensure your contracts protect you. - Communicate with you, and answer your questions as soon as possible. - Actually WORK for you! - Stay at the "tip of the spear" with real estate technology and practices. Residential real estate professionals that listen and care. We give you time, understanding and our knowledge of the market area. We believe in doing our homework, providing the qualities and skills that go into being the best Realtors - integrity, honesty, in-depth community and market knowledge, marketing savvy, effective negotiation skills and a high-quality professional network, all of which are hallmarks of how we work. Our skills ensure each transaction works. Win/Win for both buyers and sellers. A successful home purchase or sale nearly always starts with a good agent or broker. Real estate is a complex and continually changing business, and Austin agents and brokers are trained and educated in its many rules, regulations and standards. They have the inside scoop on different Austin, TX neighborhoods and areas and know what constitutes a fair price in the market. Hiring a pro in Austin, TX also means you won’t have to deal directly with the prospective buyers or sellers, which may save you some tension.